Are you off to Cyprus for the holidays? From Nicosia to Limassol and Larnaca, discover where to stay in Cyprus. A member state of the European Union since 2004, Cyprus is an island country in the Eastern Mediterranean, located south of Turkey, west of Syria and Lebanon, and southeast of Greece. The island’s northern Turkish-speaking country is de facto administered by Turkey. Enjoying sunshine all year round, the island boasts a rich historical heritage, as well as beautiful beaches, and a beautiful mountainous hinterland. A cosmopolitan hub with more than 854,802 inhabitants, Cyprus enjoys multiple cultural influences, after having been occupied by numerous powers throughout its history including the Phoenicians, Persians, Egyptians, Greeks, Byzantines, Romans, Venetians, Ottomans, and the British. Enjoy an idyllic stay in Cyprus’ many seaside resorts. If you want to explore the native land of Aphrodite, the goddess of Love and Beauty, there are several possible itineraries: Nicosia, the capital, the mountain range of Troodos, Larnaca, Limassol, Protaras, Agia Napa, Akamas, and Paphos on the southern coast. Discover our selection of the best places to stay in Cyprus. Located near the center of the Mesaoria plain, on the banks of the River Pedieos, Nicosia is the largest city, capital, and seat of government of the island of Cyprus. Nicosia enjoys close proximity to Troodos, the country’s largest mountain range. Nicosia is considered one of the world’s oldest cities, and staying in Nicosia for a day or two is a must. What to see? 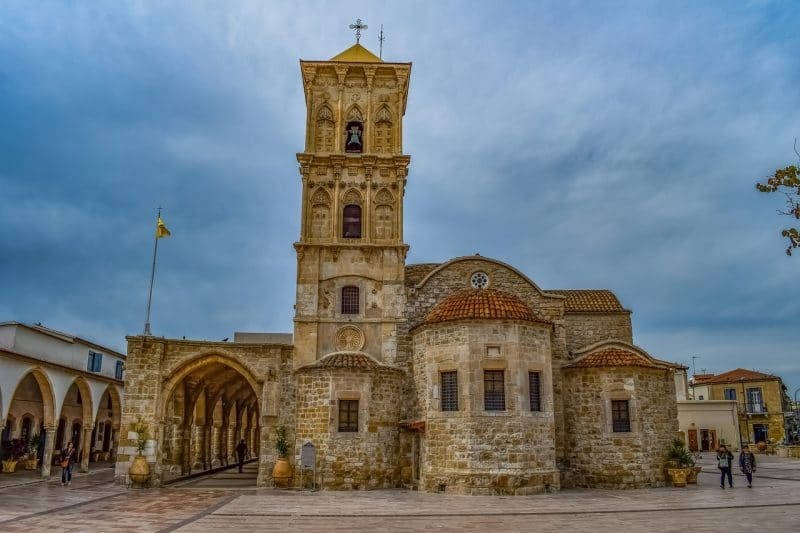 Wander around the old town, enjoy the panoramic view at the Ledra Museum, and visit the museums of the old Venetian city, including the Byzantine Museum and the Cyprus Museum. You can also visit the northern Turkish-administered part of Cyprus easily, through the Ledra Street border crossing that divides the old city district in two. Discover the North’s historic sites, including the castle of St. Hilarion and the extensive ruins of Ancient Salamis. 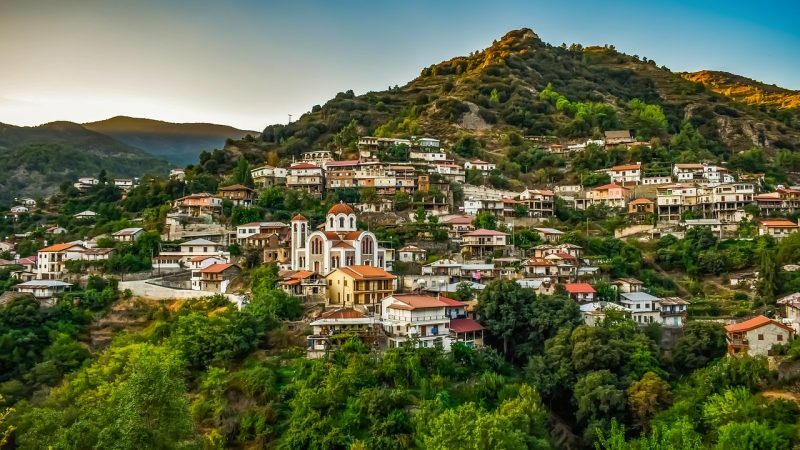 If you’re heading southward, hike the Olympus mountain range and visit typical villages such as Lefkara, Troodos, Agros. 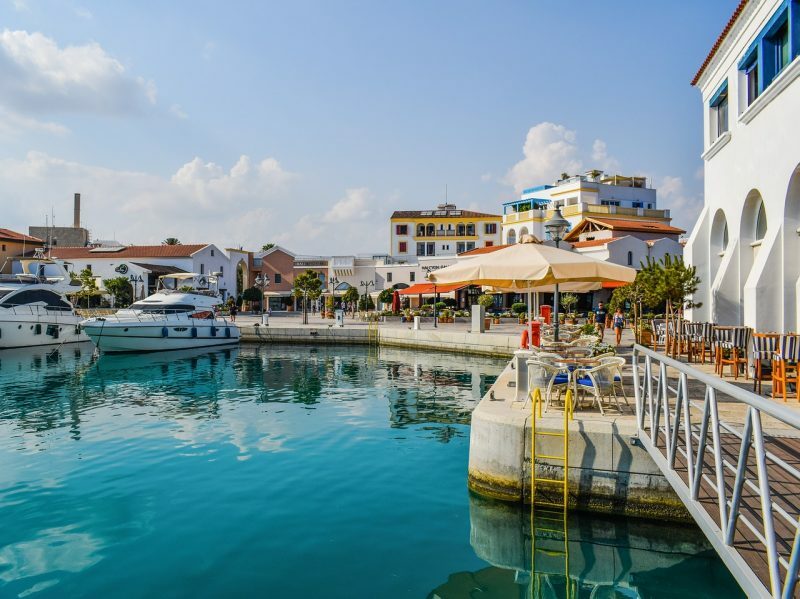 Located on the southern coast – the Greek-speaking part of Cyprus – Larnaca is a convenient place to stay in Cyprus, providing an ideal starting point for sightseeing tours on the island. Larnaca has everything to seduce all types of visitors, be they families, couples, friends, young and old, partygoers, nature lovers or idyllic beach seekers. Wander around the salt lake of Larnaca and don’t miss the Hala Sultan Tekkesi Mosque to start. Larnaca is known for its long strips of golden sandy beaches and clear, turquoise waters. The Stavrovouni monastery, the Kamares aqueduct, or the village of Kiti are among the highlights of Larnaca. With 175,000 inhabitants, Limassol is Cyprus’ second largest city. Effortlessly blending sophisticated modernization with its ancient past, Limassol is one of the best areas to stay in Cyprus. Densely urbanized, the waterfront houses an array of hotels, bars, and restaurants along the beach. Nevertheless, outside the city center, concrete masonry makes way for vegetation, and the beaches are quieter. All the charm of Limassol – old houses and colorful, picturesque alleyways – is confined to the old authentic districts, near the castle and the Great Mosque. To the west, the ancient site of Kourion – with its Greco-Roman theatre – is an absolute must-see during a trip to Cyprus. Situated on the west coast of Cyprus, Paphos is one of the country’s most popular destinations. The seaside resort is divided between the old town and the modern city. On the coast, the port and the jetty are the perfect spots to sit back and relax: the waterfront is lined with a myriad of shops, cafés, bars, and restaurants. You can’t miss the castle, a Byzantine fort built in the Middle Ages to protect the port. 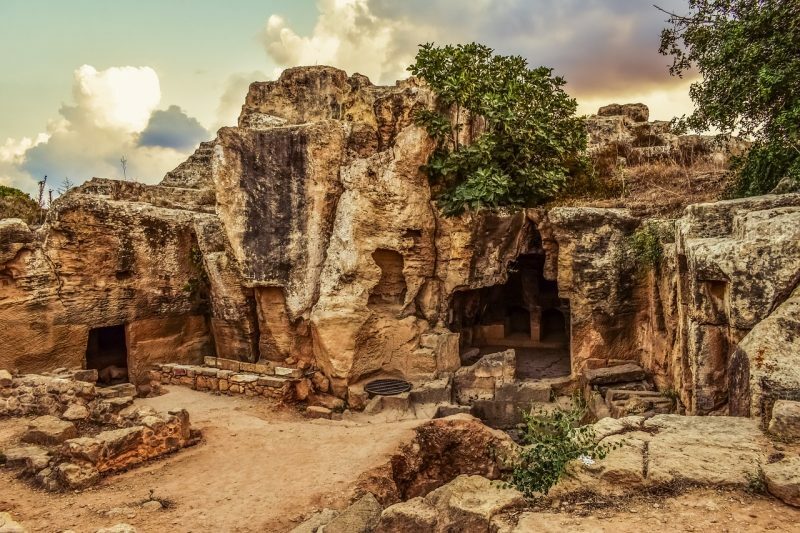 If you plan to stay in Paphos, don’t miss a visit to Kato Paphos, an archaeological site listed as a UNESCO World Heritage Site. The site is home to the “House of Dionysus,” one of the most beautiful ancient villas in the eastern Mediterranean.